No, this isn't the Graham of talk show fame, that was Virginia. Martha was a famous dancer, choreographer, and dance instructor and is featured on Google today because May 11, 1894 is her birthday. Martha is known as a huge pioneer in modern dance. As a response to the romantic style of 1920s modern dance, Martha countered by incorporating many dance traditions as well as American history and culture into her new dance style. This was instrumental in her popularity in America. Okay, here are some dates. 1926--Founded the Martha Graham School of Contemporary Dance, which is "the oldest, most celebrated modern dance company in the world," according their site. 1930--Founded the Dance Repertory Theater in New York City. 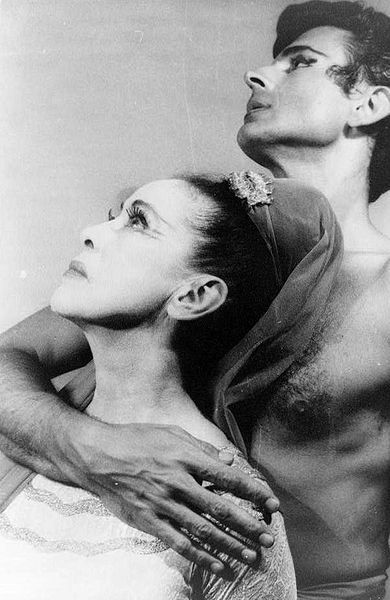 1932--Became the first dancer to receive a Guggenheim fellowship. 1937--Danced at the White House for President Franklin Roosevelt (that must have been fun!). Here is her Wiki Page. Here are some books about her. Martha Graham School of Contemporary Dance.